Resource efficiency is defined by the United Nations as "reducing the environmental impact of the consumption and production of goods and services over their full life cycle"
In the Waste & Resources Action Programme's (WRAP) 2009 research report "Meeting the UK Climate Challenge: The Contribution of resource Efficiency" they identified 13 key strategies which could affect a number of industry sectors or household product groups. For production they relate to a change in the efficiency of UK production or production structure, and on consumption, they relate to the level of household consumption or the composition of the household purchases of both domestic and imported products. 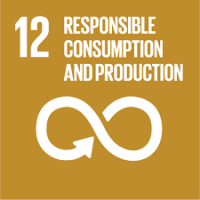 In their follow on 2010 research report "Securing the Future - The Role of Resource Efficiency" WRAP concluded that the 13 identified strategies to improve resource efficiency had complimentary benefits of reduced greenhouse gas emissions, resource use, water use and ecological footprint. It also confirmed the findings of the previous study that both production and consumption strategies are important in addressing these environmental issues. It also showed that resource efficiency could have an important role to play in addressing increasing resource security issues. Our experienced auditors can assist you with assessing the value and efficiency of your existing watse contract, demonstrating Legal Compliance and Duty of Care, Pollution Prevention audits, reports and action plans of your current waste management activities. Waste management is crucial to reducing your organisation’s impact upon the environment. It is also a fundamental requirement in achieving efficient cost savings and a better financial return for your business. Our experienced advisors can assist you develop your waste management strategy embedding the waste hierarchy within the culture of your business, instigating staff and organisational behavioir change and engaging with the Circular Economy if appropriate. Many businesses are unaware of how significantly waste impacts on their bottom line. As the demand for materials grows worldwide, raising input costs, it makes sense for businesses to adopt the waste hierarchy. 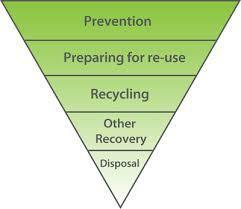 Article 4 of the revised EU Waste Framework Directive (Directive 2008/98/EC) sets out five steps for dealing with waste, ranked according to environmental impact - the ‘waste hierarchy’. treatment and wasted labour. The actual cost of such waste for UK companies is typically 4 - 5% of turnover, and can be as high as 10%.